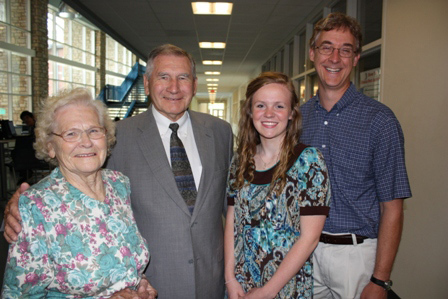 Blue Ridge Electric Membership Corporation and The Watauga Education Foundation (WEF) have awarded 2015 Price-Deverick Scholarships to 8 teachers in the Watauga County Schools. Teachers receiving the awards include Courtney McKinney of Bethel School, Ann Donadio, Amy Michael and Barbara Linville of Cove Creek School, Jana Duke and Susan Wells of Hardin Park School, Gayle Oliver of Mabel School and Piper Woodring of Watauga High School. 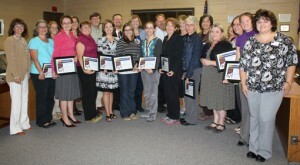 Congratulations to these fine educators as they work to improve their knowledge, skills and certifications. It is always a pleasure to help our teachers reach their goals. Outdoor learning, NC Lighthouse construction, Sign Language, Musical Instruments, Sensorimotor Assessment equipment, Robotics, Photography: this is just a sampling of the wonderful things to come to the students in Watauga County schools. Twenty teachers were awarded grants from Watauga Education Foundation with the grants totaling $20,000! 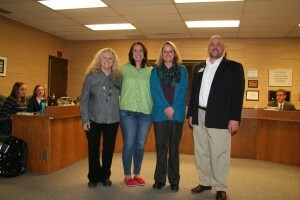 The award winning teachers were notified at their schools by a Watauga Education Foundation Board member, who delivered the good news along with balloons and PayDay candy bars. 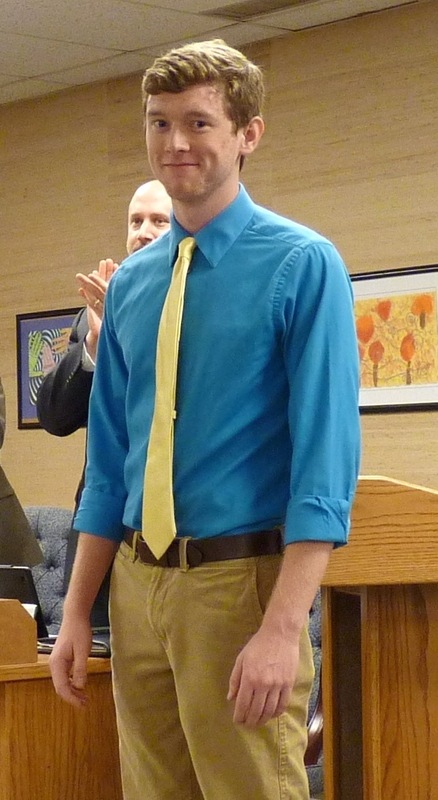 The teachers were formally recognized at the Watauga County Board of Education meeting on November 10 by Allocations Chairperson, Margaret Moore and WEF President Chad Smith. WEF takes pride in having this opportunity to give back to our schools! The foundation board members work hard throughout the year through such fundraisers as FlapJack Flip and Shooting Stars. However, none of this would be possible without the support of local businesses and families. The Watauga Education Foundation has been making a difference in the lives of Watauga County Public School families for more than 20 years. In addition to the classroom grants, the Foundation provides teachers with continuing education scholarships and administers the Kate Swift Reese College Scholarship for WHS students. 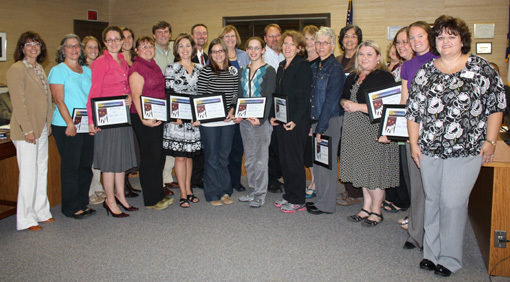 Grants were awarded to 15 lead teachers which included all ten schools. Robotics Club Equipment, musical instruments, reading and science materials ,a literacy program, and the production and broadcasting of news that will promote leadership for students are just a few examples of that are planned for this year. In many cases, initiatives are cross-curricular and will reach students year after year. These and other grants will have a direct impact on thousands of students. 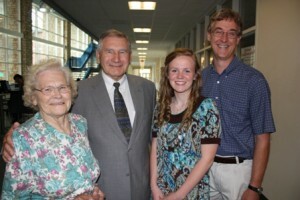 The Watauga Education Foundation awarded its annual $1,000 scholarship to Carrie Danielle Eggers on Tuesday, May 24, 2011. The college-bound Watauga High School Senior accepted the scholarship at the Watauga High School awards ceremony from Foundation president, Dr. Jay Fenwick, and Reese family siblings, Clint Reese and Kathleen Reese. The endowment was established with the Foundation in 2009 by the surviving children of Asa and Kate Swift Reese, long time Beaver Dam residents. Much admired, Miss Kate was best known for showing kindness to all she encountered and for being a natural born educator. Miss Kate also served as the regional director of the North Carolina Agriculture Extension Service and shared her knowledge for running a tidy and efficient home with many. Miss Eggers, this year’s winner is enrolled at Appalachian State and plans to become a teacher. The Reese family is well known throughout the state of North Carolina and especially in the High Country. Many of the family members have worked for the Watauga County school system, including former WHS principal and school board president, Andy Reese, who passed away in December 2009. Other Reese siblings are Asa L. Reese (deceased), Norman Reese, Kathleen Reese, Richard Reese (deceased), Gladys Shoun, Betty Shoun, Clint Reese, Dorcas Hodges and Lance Reese (deceased). Donations to the KSR Scholarship Endowment or any Foundation program can be made online. For more information on making a contribution or establishing a scholarship endowment, please contact us at 828-268-1273. This year’s grants total $20,000 and will have a direct impact on thousands of students. They include funding for technology, sheet music, books in Spanish, art supplies and math pads. In many cases, initiatives are cross-curricular and will reach students year after year. The Watauga Education Foundation has been making a difference in the lives of Watauga County Public School families for more than 20 years. In addition to the classroom grants, the Foundation provides teachers with continuing education scholarships, funds the Dolly Parton Imagination Library and administers the Kate Swift Reese College Scholarship for WHS students. 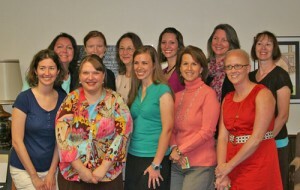 Blue Ridge Electric Membership Corporation and The Watauga Education Foundation (WEF) have awarded 2010 Price-Deverick Scholarships to 11 teachers in the Watauga County Schools. Teachers receiving the awards include Teresa Bentley of Parkway, Katherine Chesnutt and Mary Neal Henson of Watauga High School and Hardin Park, Kellie Gore of Watauga High School, Gina Holste and Harriett Stepuch of Valle Crucis, Amy Miller from Mabel, Amanda Price Ormsby of Blowing Rock, and Kim Shields, Christina Wall, and Kelley Wilson of Hardin Park. The Price-Deverick scholarship program for teacher development was initiated in 1993 by Blue Ridge Electric Membership Corporation (BREMCO) to help improve the educational opportunities in Watauga County Schools. BREMCO invited the Watauga Education Foundation (WEF) to join forces with them in this endeavor in 1997. The Watauga Education Foundation has raised and distributed more than $1 million for students and teachers since 1987. In addition to supporting the Price Deverick scholarships, the WEF also awards grants for creative teaching projects, funds supplies for Battle of the Books and Jr. Battle of the Books, and produces Shooting Stars, the annual juried talent show for WCS visual and performing arts students.